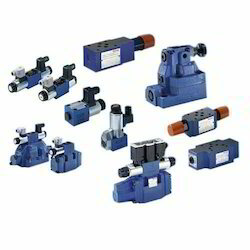 We are a leading Manufacturer of hydraulic proportional valve and hydraulic valves from New Delhi, India. 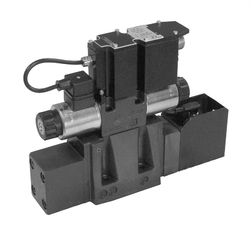 Being the foremost names in the industry, we offer technically updated an array of Hydraulic Proportional Valve that is valued for durable standards and wide applications. We offer them in varied thickness and are rugged in construction. They are manufactured with correctness and are used to control the pressure in the pipes and machinery. Hydraulic Proportional Valve encompasses budgetary limits. These products are highly demanded in the market as fulfil the client's requirement. Banking on our years of knowledge of this field, we are provided with our clients a vast assortment of Hydraulic Valves. Our offered valve is manufactured by using a quality raw material in accordance with industry norms. In addition to this, the given valve is passed through a series of testing procedures under the supervision of our quality controllers. We offer this valve in various specifications to choose from. Looking for Hydraulic Proportional Valve ?